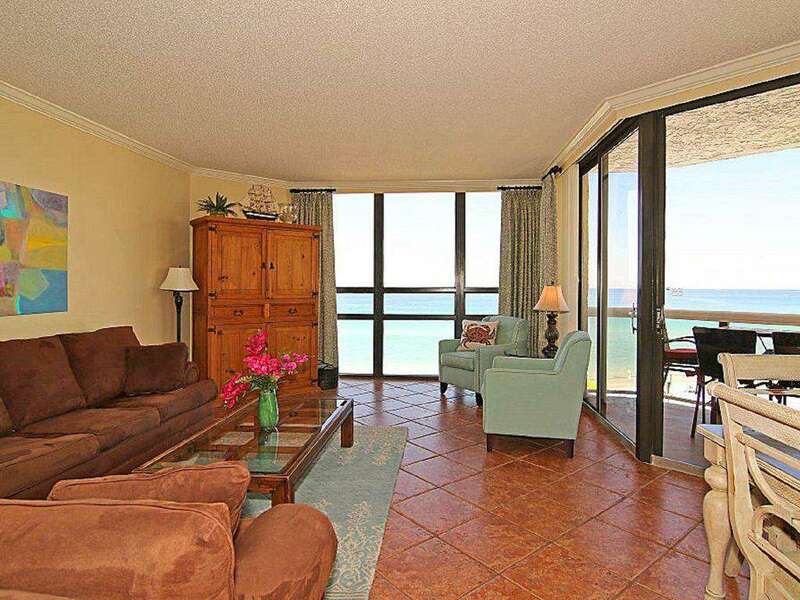 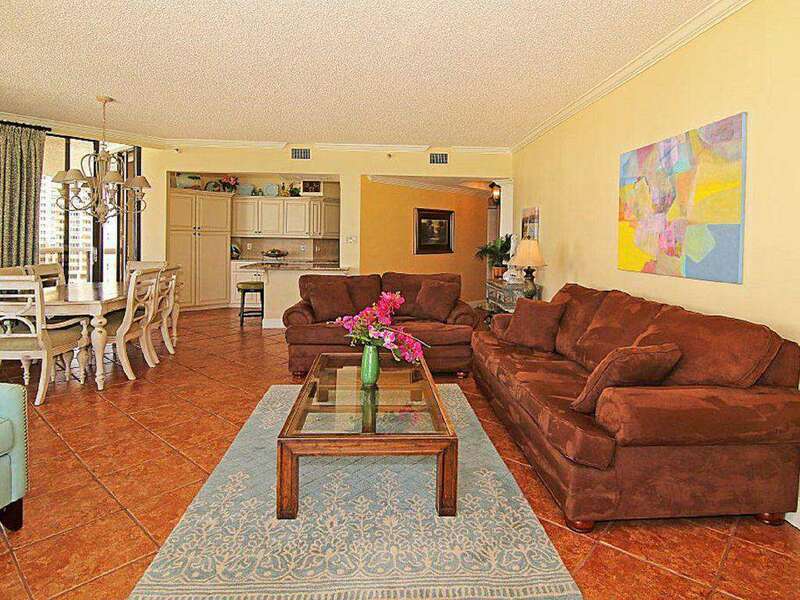 The living room has beautiful panoramic views of the Gulf! 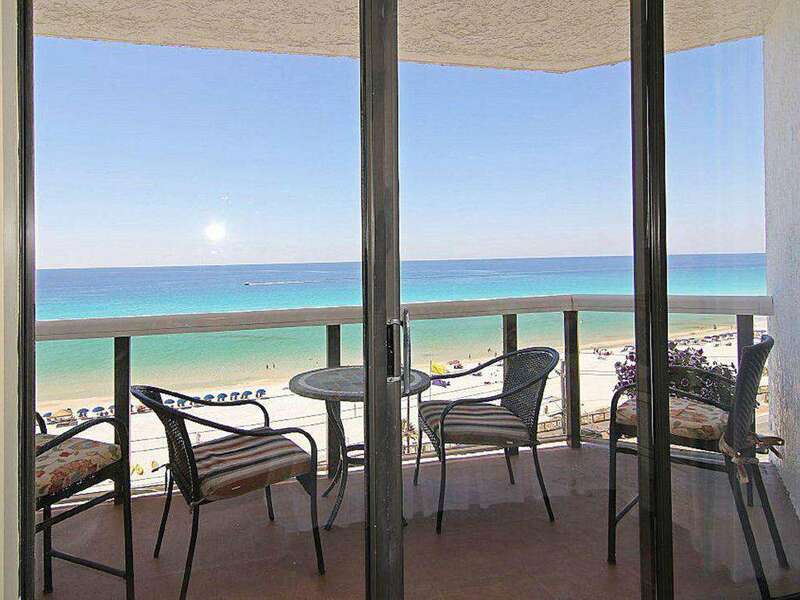 The huge balcony has plenty of seating to enjoy the views! 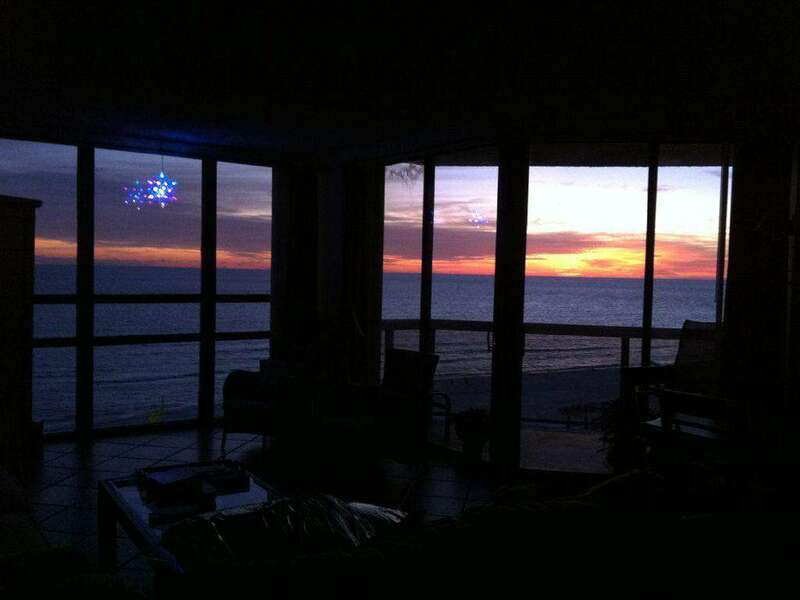 Sunset from the living room The living room is open to the dining room and kitchen. 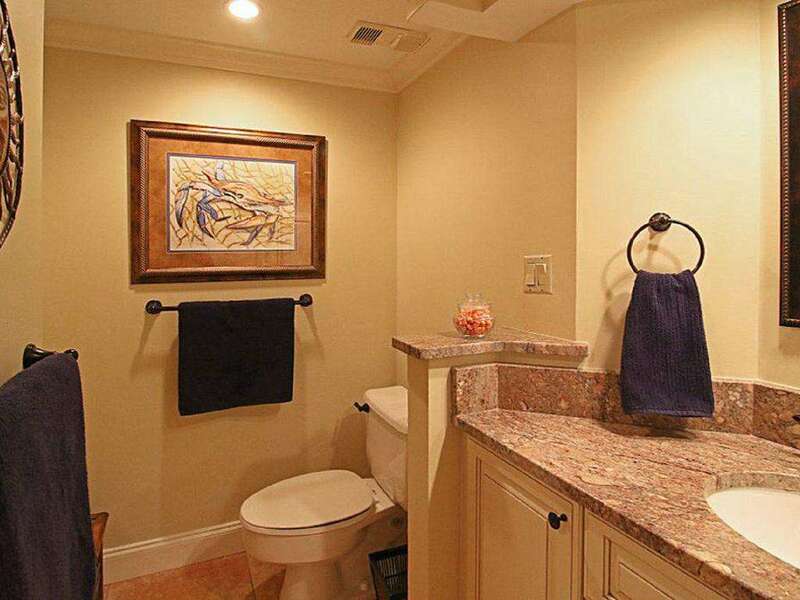 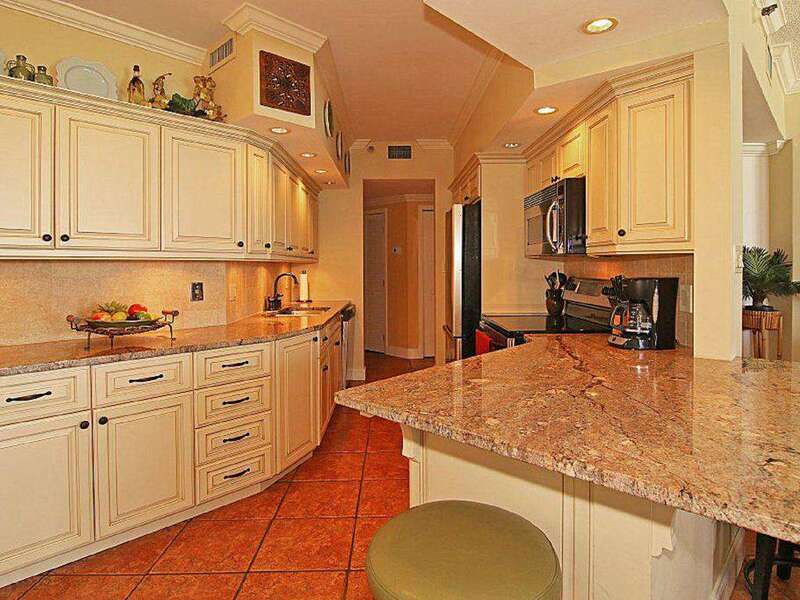 The beautiful granite counter tops and open kitchen feature views of the Gulf! 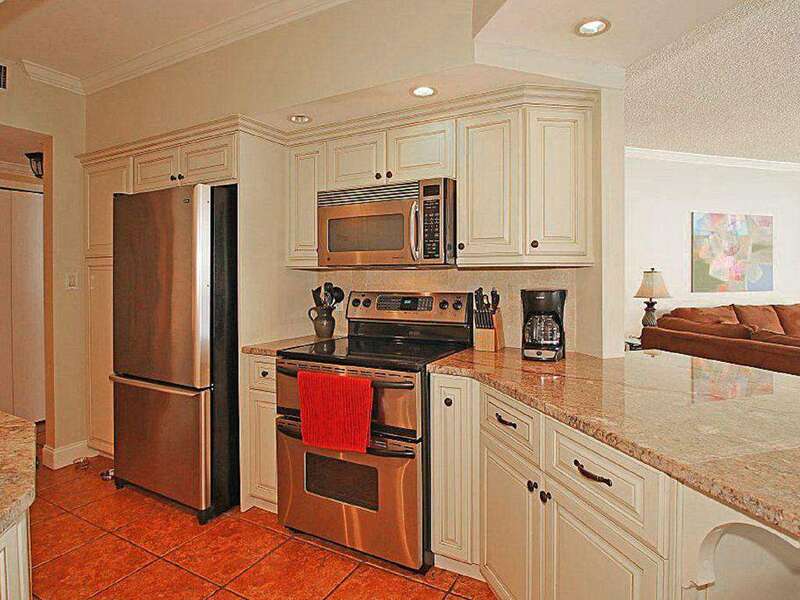 The beautiful kitchen has gorgeous granite counter tops and stainless steel appliances. 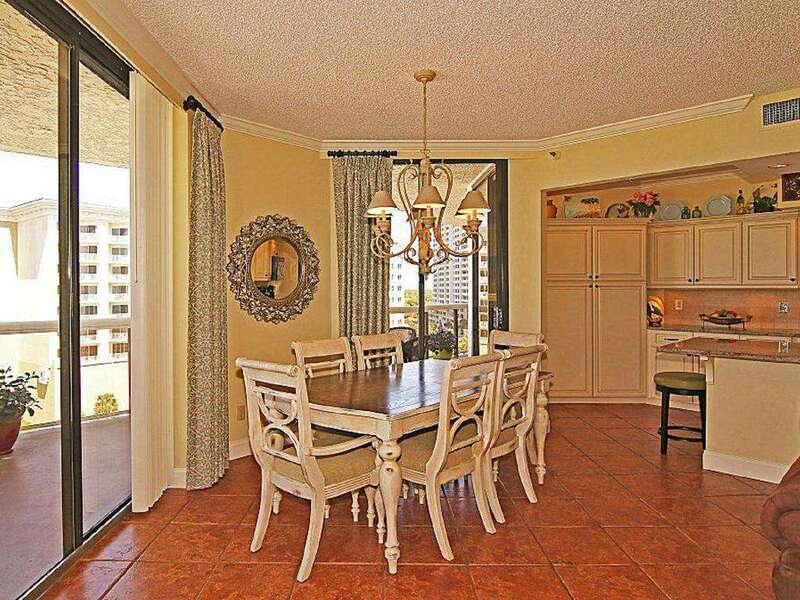 The dining area is open to the kitchen and living area. 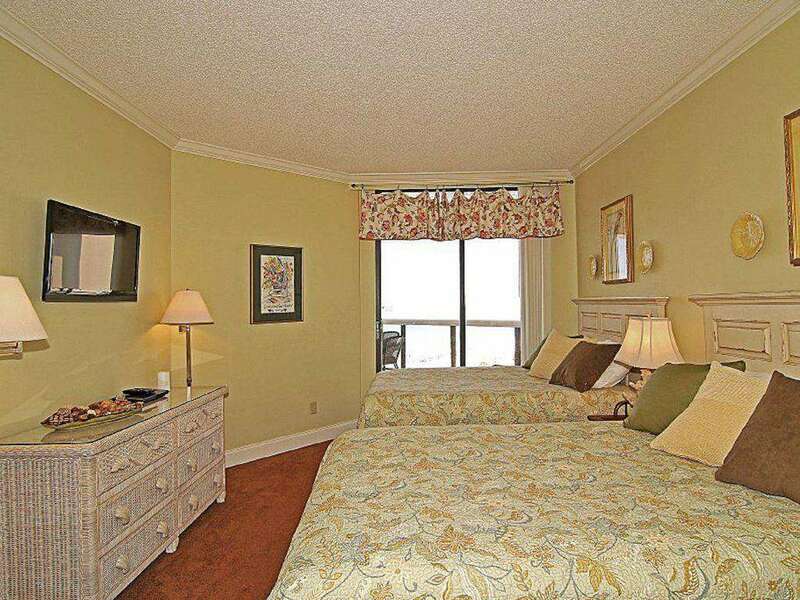 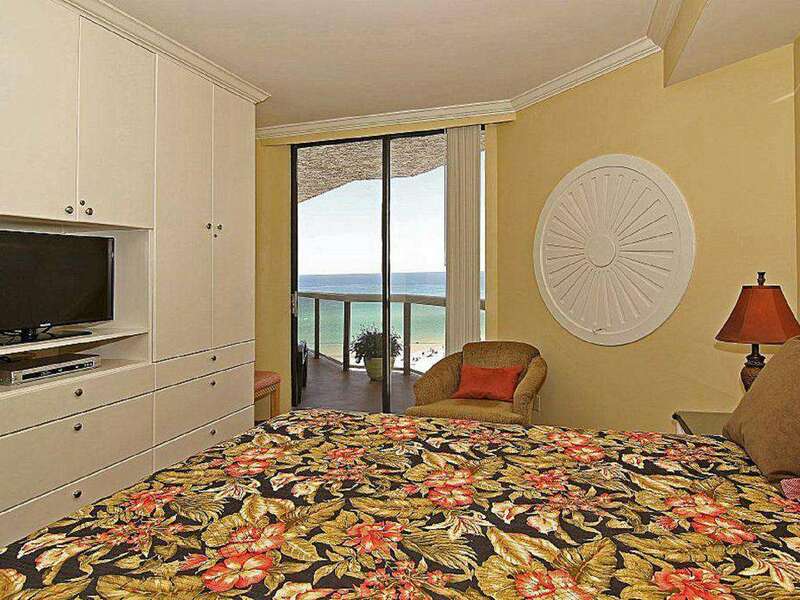 The master bedroom features an en suite bathroom, balcony access with great views, and a large walk-in closet. 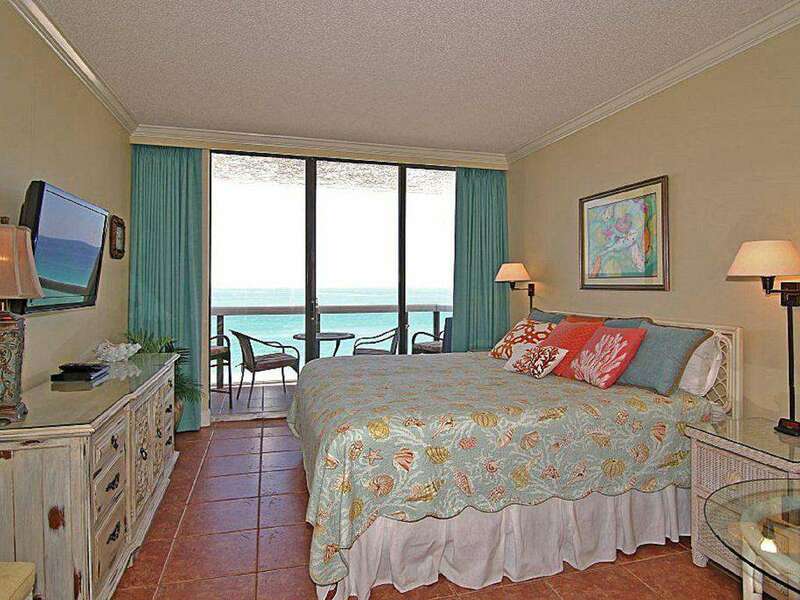 View from the master bedroom Granite counter tops in the bathroom The second bedroom features two full sized beds and balcony access. 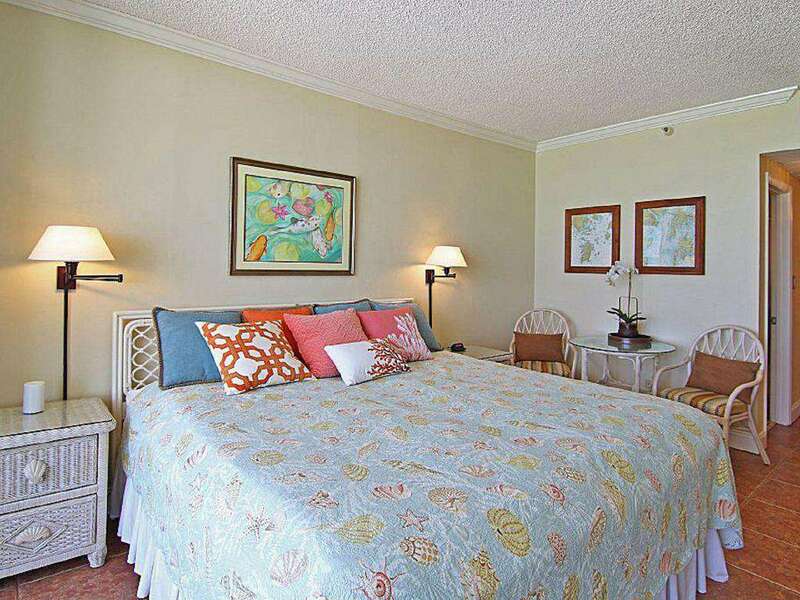 The third bedroom is like a hotel room with its own private balcony access, private bathroom, microwave, small refrigerator, and coffee pot. 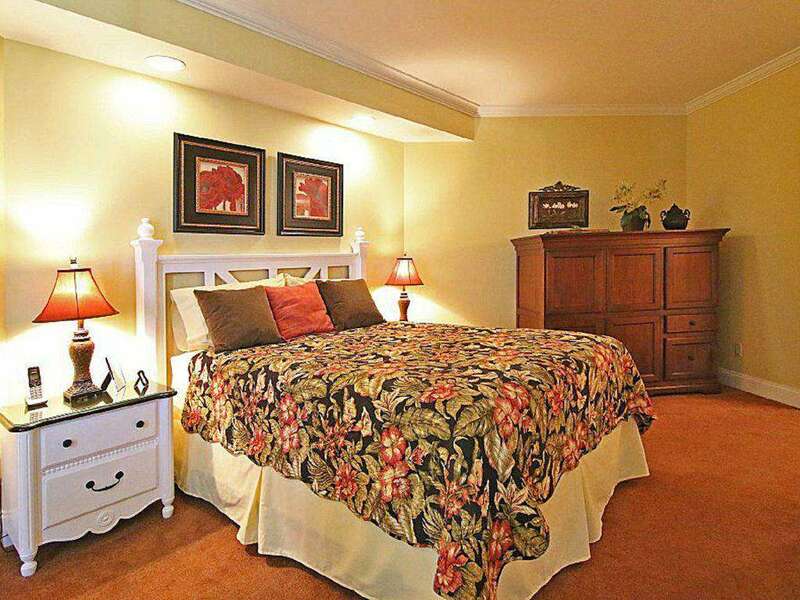 The third bedroom has a king sized bed.